It's Just Mobolaji | Music & Entertainment: This is just RIDICULOUS!! Could Gucci Mane's fans get anymore.. DEDICATED?!! By the looks of it NO! 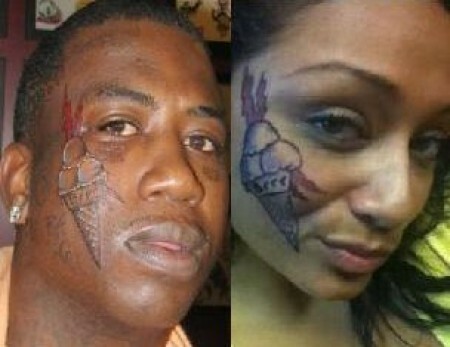 Recently Rapper Gucci Mane got a tattoo on his face. YES FACE. Of an ice cream cone :\ This die-hard-fan went and done the same thing.